More than 2,000 of your closest airport industry colleagues gathered for the World & North American organizations of Airports Council International. Meet up with Grice while in Long Beach for ACI! AAAE Annual Conference in Philly. A great time to chat with Grice in person. Have you registered for the Ski Trip yet? Extend your networking with airport industry professionals by joining us after the Symposium for a day at Breckenridge. Come enjoy a day of skiing, snowboarding, zip lining, riding a mountain coaster, or just exploring the town of Breckenridge. We have made plans Saturday February 21, 2015 after the ACC/AAAE Airport Planning, Design & Construction Symposium concludes. Register here. Catch up in person with Grice during the ACC/AAAE Airport Planning, Design & Construction Symposium in Denver, CO this 2014. Grice is one of the mentors for the Young Professionals program again. Sign up for “Team Grice” and see if you can win some prizes, including a complimentary registration for next year’s Symposium. Stick around for our annual ski trip! Catch up in person with Grice during the ACC/AAAE Airport Planning, Design & Construction Symposium in Denver, CO, Feb 18-20, 2015. Once again Grice has been asked to serve as a mentor in the Young Professionals program. Grice is also organizing the Symposium Ski Trip to Breckenridge on Saturday Feb 21 after the conference. More than 2,000 of your closest airport industry colleagues gathered for the World & North American organizations of Airports Council International. Meet up with Grice while in Atlanta for ACI! 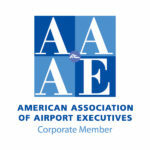 Grice will lead a session at the AAAE NE Chapter Annual Conference in Buffalo, NY about Talent Management: Selecting, Training, Recruiting, Retaining, Promoting, and moving employees through airports and airport consulting organizations. On Grice’s panel are Kelly Fredericks, CEO of Rhode Island Airport Corportation, Ron Peckham, President & CEO of C&S Companies, and Randy Berg, Deputy Director of Aviation, Salt Lake City Department of Airports. AAAE’s Annual Conference is in San Antonio this May. Grice would be happy to meet you while attending with many of his clients and colleagues. Catch up in person with Grice during the ACC/AAAE Airport Planning, Design & Construction Symposium in Denver, CO this 2014. Grice was asked to serve again this year as one of the mentors for the Young Professionals program again. Sign up for “Team Grice” and see if you can win some prizes, including a complimentary registration for next year’s Symposium. Stick around for our annual ski trip! Have you registered for the Ski Trip yet? Extend your networking with airport industry professionals by joining us after the Symposium for a day at Breckenridge. Come enjoy a day of skiing, snowboarding, zip lining, riding a mountain coaster, or just exploring the town of Breckenridge. We have made plans Saturday February 22, 2014 after the ACC/AAAE Airport Planning, Design & Construction Symposium concludes. Register here.